Cartoon Network launched a new game on Android recently, called Best Park in the Universe. 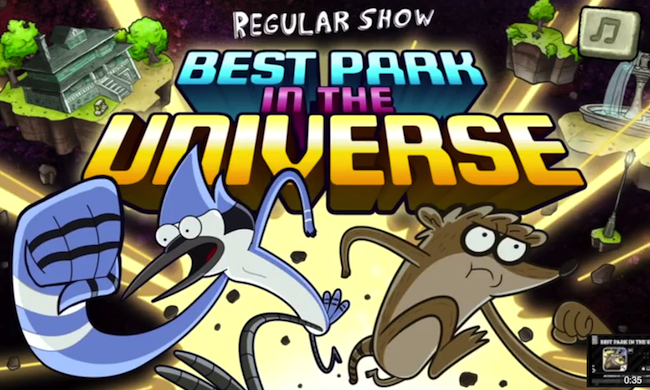 In the game, you play as both Mordecai and Rigby, who team up to make their park the “best park in the universe.” In order to do that though, they must battle through space aliens, angry musclemen, deranged park employees and spooky ghosts. The game looks like an older arcade style punch-em-up, but both characters have special rockin’ abilities that spice it up. The graphics are smooth, and to keep the gameplay up to par, only Android devices running Ice Cream Sandwich and up are able to run it. It’s $2.99 on Google Play, so go check it out.